Woohoo, it’s almost here! The greatest day of the year! National Coffee Day is coming up on September 29th! Okay, okay, so maybe it’s not THE greatest day of the year, but if you understood my absolute love for coffee, you’d realize why it’s pretty close! Did you know that Canadians consume an average of 2.8 cups of coffee every day? I’m not even going to tell you how far over that average I go. I’m one caffeinate mama, though, let’s just say that! 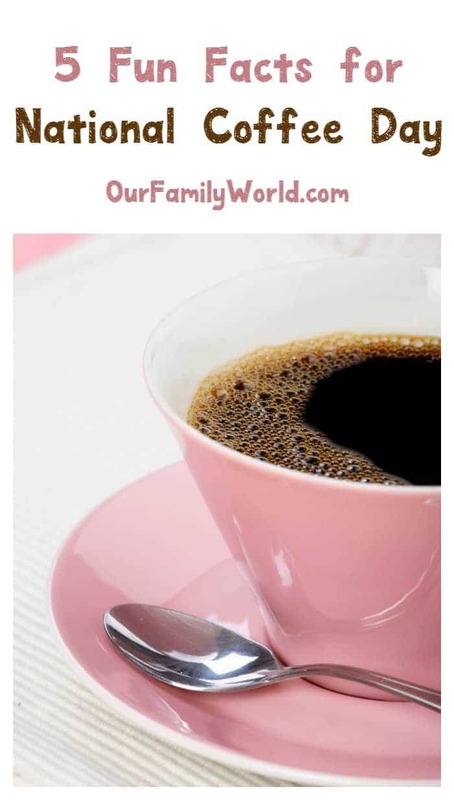 To celebrate this most fabulous day, we’re sharing a few fun facts about coffee that I think you’ll love. 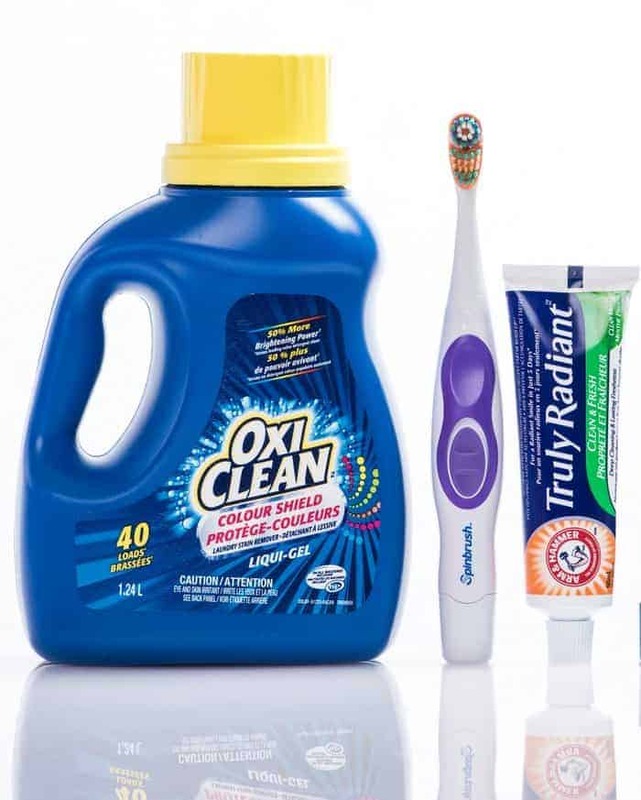 Then read on for tips from our friends at Church & Dwight to fight coffee stains on both your clothes and your teeth! Love the coffee, lose the stains! How are you planning to celebrate National Coffee Day? What do you put in your morning cup? Coffee is good for your memory. Numerous studies, including one at John Hopkins university, found that the caffeine in coffee may actually help enhance your long-term memory! You don’t need to consume as much as I do to see the effects. Just about 200mg of caffeine a day is enough. That’s equal to one strong cup or two not-so-strong cups. This isn’t news to those in Yemen and Arabia, where coffee has long been used as a brain tonic. Coffee helps fight the symptoms of the common cold. While coffee can’t fight off the virus that causes a cold, it can help you better cope with the symptoms by alleviating some of the sluggishness that comes with them. Caffeine is also a bronchodilator, which means that it helps open up your airways and may soothe that cough. It’s not really native to North America. Did you know that Hawaii and Puerto Rico are the only places in North America where coffee is grown? Hawaiin coffee is pretty tasty! There are two main species that go into making your morning cup of Joe. If you’re drinking brewed coffee, there’s a very good chance it comes from the Coffee arabica tree. These trees are known to produce the highest quality coffee. Prefer instant? You’re most likely drinking Coffee robusta, which has heartier beans and contains between 40-50% more caffeine. It takes a lot of trees to fuel the world! Each Coffee arabica tree only provides between 1-2 pounds of coffee per season. The robusta tree gives off slightly more at 2-3 pounds. Goodness, that means an entire coffee tree forest is required just to keep me going all year! While a great cup of coffee is the perfect start to the day, sometimes our favourite morning ‘jolt’ can leave us wanting to hide under the covers. You know what I’m talking about! Clothing stains. All it takes is a little drip from your mouth to land on your lap or your chest (the worst part is when you don’t even realize it happened). OxiClean™ Colour Shield Liquid Laundry Stain Remover features the power of OxiClean™ that reaches deep into fabric fibers to quickly and safely break up and remove stains and keeps colours looking their brightest. Teeth stains. Our teeth probably hate us the most for our love of coffee. ARM & HAMMERTM Truly Radiant™ Spinbrush and ARM & HAMMERTMTruly Radiant™ Whitening & Enamel Strengthening Toothpaste are the perfect pair to fight coffee stains and get to a whiter, brighter smile in just 3 days. ARM & HAMMER™ Truly Radiant™ Spinbrush removes 100% more plaque in those hard to reach areas*, and ARM & HAMMER™ Truly Radiant™ Whitening & Enamel Strengthening Toothpaste removes stains, helps remineralize tooth enamel restoring its shine and smoothness. Knowing how to get rid of stains makes celebrating National Coffee Day even more exciting. I’ll be honest, I’m a bit of a klutz, especially before I’ve finished that first cup in the morning. It’s good to know that OxiClean™ is there to keep my clothes from showing off my clumsy side! I am one of those crazy lover of coffee and I love them in any form anytime. A National Coffee Day sounds amazing and it feels so good to hear about all those fun facts as well behind it. Oh, I never thought that there is a national coffee day, I love drinking coffee! I love coffee! I enjoy mine with milk and just a little sugar. It gives me an instant boost of energy when I need it. I can not live without coffee. Can’t function without it! Can’t start my morning without that coffee!! I don’t drink coffee unless it is sweetened to the point that it doesn’t even resemble coffee, lol! I wish I liked it though–could use the energy!